We’re glad to introduce you to our February’s roaster. Welcome back Neues Schwarz! For those who might not know, who are Neues Schwarz? Neues Schwarz is the first and only specialty coffee roastery in the greater Dortmund area. We see ourselves as a part of the "third-wave-movement". Thus we try to source, roast and brew only the best qualities we can find with our partners at coffee origin. What has happened since you were last featured in Bean Portal two years ago? The last two years happened to be very short-dated. We opened a second shop in the city centre. A tiny but extravagant brew bar that has started to attract the crowds. 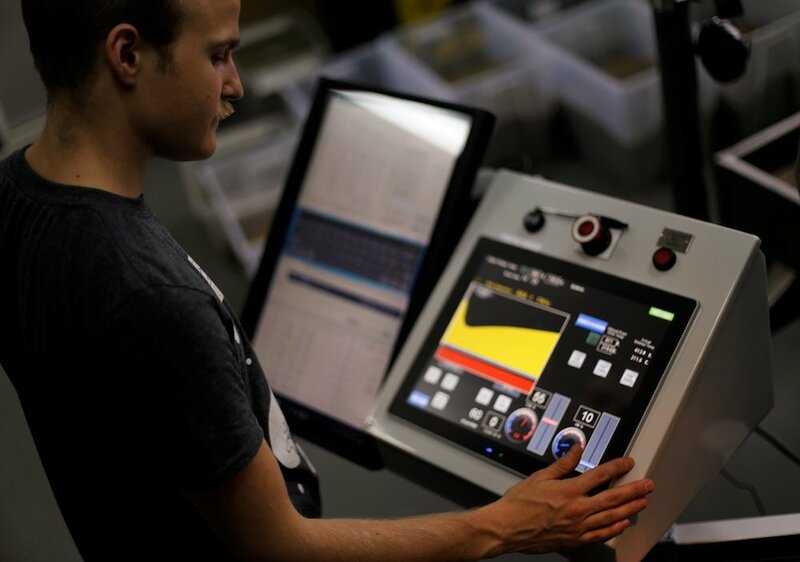 Simultaneously, the number of b2b customers grew steadily which keeps the roaster busy. You have had the roastery for 5 years now, how was the Dortmund coffee scene when Neues Schwarz started compared to now? This months we turned 4 years. When we started our business, terms like "light roast", "flat white" and "notes of jasmine and blueberry" were new to a non-existing coffee scene in the Dortmund area. Nowadays much has changed and it feels great to get into more and more discussions in our stores about the quality and the origin of coffee. Are there any projects you are working on right now that you are extra excited about? We have travelled a number of times to coffee producers in the origin to see, engage and understand. We have two key projects that we support financially beyond the usual coffee purchase. The projects are in El Salvador (Finca San Antonio) and Peru (Edwin&Luz). We believe that a close cooperation helps to improve the quality of coffee and builds a longterm relationship. It is difficult to predict the future. We certainly want to be at the forefront of a coffee scene that grows, not only in Berlin or Hamburg, but across the entire country. We've heard the Kayon Mountain makes an amazing aeropress. What can we expect from this month's coffees? The Kayon Mountain is a very special coffee. You usually find one or two methods that are ideal to brew a particular coffee. It is different though with the Kayon. You can fully enjoy it as filter or espresso equally. The notes of sweet blueberry will always be present, which is very typical for natural Ethiopian coffees, but it also has some floral notes towards the end which are usually more a sign for a washed coffee from that area. We hope you enjoy it and are happy to receive feedback. In Sweden we like to drink a coffee with a cinnamon bun. What is your favourite way of enjoying a cup of coffee? We like to share coffee. With everyone, customers, staff, friends and also Swedish platforms :). We really like the social aspect of coffee. Within the team we would more likely brew a fruity filter and talk about the cup afterwards. Don’t miss out on our next roaster. Get your subscription going today! We’re ending 2018 in a great way. CleverCoffee is our December’s roaster, and our final featured roaster for the year! We had a chat. Actually, we are coming up on our fifth birthday in February as CleverCoffee began in the beginning of 2014. However, it was in a very different format that what it is today; we began purely as a blog with nothing to sell – just purely informational articles about what we learned about coffee roasters, brewers, water, etc., and I had been a home barista about five years before that. It was a great way to get people interested but the more we examined and learned, the more we found that it was hard to get to know the world of specialty coffee. For us, this helped form our approach to specialty coffee as we wanted – and still want to – make it more simply to experience world-class specialty coffee. What drove you to the specialty coffee business? In fact, I did not drink coffee until I was 26 years old. I started to be embarrassed if I was at a café or coffee show with my wife and she had coffee, while I was having hot chocolate. Then a good friend of mine introduced me to a fantastic cup of specialty coffee. I think it was a lightly roasted Ethiopian coffee and I had no idea that coffee could be clean and sweet without being sour or bitter – and it got me hooked! I started exploring the world of specialty coffee, but it was complex, so I wrote what I learned and the blog, CleverCoffee, was an easy next step. Here five years later, we have just relaunched our website for the third time and I have revisited the blog posts that I had not read for years. Some of them are still useful for people who are interested in specialty coffee, so I am adjusting a bit here and there and will repost them online soon. How has CleverCoffee changed if you compare today, with the day you started roasting? As I had been roasting quite a lot on a smaller scale before opening CleverCoffee, I knew that nothing beats using the best beans available. The very first bags of coffee we sold, I roasted on a Hottop coffee roaster and closed the bags with a vacuum sealer. Of course, we had every food grade certifications in order, but before making a huge investment in a complete roasting setup, In the way of LEAN startup, we just wanted to make sure that we were able to produce a product that people wanted to buy. Later, we got the chance to buy an old 1963 Probat LG5 coffee roaster, that we restored and used for quite some time before upgrading to our current Giesen W15. Still, we are using the same formula when considering new investments in both coffee and equipment; we need to know that it works on a smaller scale before introducing it to a broader audience. How do you think CleverCoffee will evolve in the future? Have you got any specific goals? Sure, we have many goals – but one of our main focuses right now it to develop our core business, which is to source, roast and present some of the world’s most interesting coffees, without adding unneeded complexity and doing it in a responsible way. We believe strongly that we should have an environment impact, which is as low as possible. It is not easy but an important process where we have taken the first steps by only printing info sheets on our coffees on CO2-neutral paper, we are only using electricity that comes from windmills and we use recyclable coffee boxes to deliver coffee to coffee shops and hospitality businesses that are located nearby. Now, we are working on having our Misiones coffee registered as a Transparently Traded Coffee as we would like our customers to know how much the grower has been paid for his green coffee in order for them to make a more conscious choice more easily. Additionally, we are exploring the opportunities to opening our own coffee bar but that would certainly add complexity to our business, but it also opens up for us to being able to display our coffees in our own way. Therefore, we are looking for likeminded and talented people from the hospitality business industry to take part in this project. 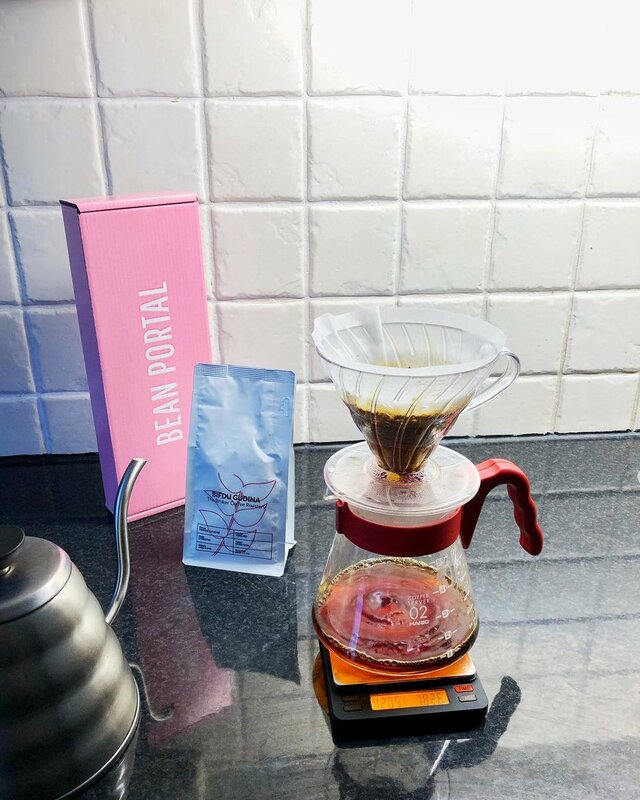 Many of our subscribers are tasting CleverCoffee for the first time. How would you describe coffee roasted by CleverCoffee? Coffee comes from a fruit and we want you to taste this. We roast to highlight the natural sweetness and fruitiness in the coffee. This way all coffees will taste different and you can explore the huge variety there is in coffee. We work exclusively with the most interesting coffee producers in the world. We buy our green beans directly from the farmer or through socially aware and skilled importers who, with great professionalism, add value in the form of knowledge about better production and organic initiatives while always having the best interest of the coffee farmer in mind. Simply, we feel that this is the right way to do business. We have selected all of our coffees for their unique and exciting characteristics, and you can be sure that our selection always reflects the huge variation in flavor found in the world of coffee. Our coffees come from micro lots from all over the world. Carefully selected and gently profile roasted to the brighter side as to preserve the sweetness and the innate flavours in the bean. We omni-roast all coffees so you can brew them just the way you prefer. What can we expect from this month’s coffees (Misiones, Ceiba and Biloya)? As usual, we would like people to experience the diversity in specialty coffee and we aiming to do this by only having seasonal coffees in our lineup as well as having a limited number of coffees in our lineup. We believe that a lineup of 5-7 coffees that change with the harvesting season helps our customers appreciate the diverse tastes that lies within the world of specialty coffee. For us, the Misiones from Colombia is more than special. For a long time, we have been looking for a coffee that meets our quality and taste requirements, and a coffee, where we can trade directly with the producer. Therefore, we are extra proud of this coffee, which is our first directly traded coffee and at the same time exclusive to CleverCoffee in Denmark. Collectively this results in a sweet and transparent coffee with a balanced tasting experience. The coffee plants grows in nutrient volcanic soil in 1500-1700 mas in areas with plenty of shade. The variety is Castillo, a typical Colombian variety known for its great sweetness and citrus aftertaste. The coffee is as a fully washed coffee, to highlight the clean and transparent taste. The pickers are highly skilled and have picked the ripe cherries when the cherries have reached a sugar content of 14%. This highlights the coffees natural sweetness. All of this combined, results in a sweet and transparent taste of ripe red berries and citrus in a great balance. It is a coffee with a high complexity where you will experience a change in taste depending on the temperature of the coffee. Grind it rather coarsely and you will get a super juicy coffee. If you grind the coffee finer, you will get a very sweet coffee. This coffee has a big spectrum to play with. This is a great example of a classic Colombian coffee – and what the Castillo variety has to offer, when it has been grown and processed with the outmost care. Ceiba is a specialty coffee from the Huehuetenango region in Guatemala on the border to Mexico. Here we have a fantastic combination of the comfortable silky and creamy mouthfeel, as the coffee from the area is known for and the fresh fruitiness that our roast style emphasizes. This results in a balanced coffee that everyone can drink, while you can find a great complexity in new taste notes. Ceiba is a sweet and balanced specialty coffee that gives a nice freshness with taste of milk chocolate, orange and vanilla. This is an easy-to-drink coffee that everyone likes while it contains a large complexity and it expresses new tasting notes clearly, if you let the coffee cool down a little. 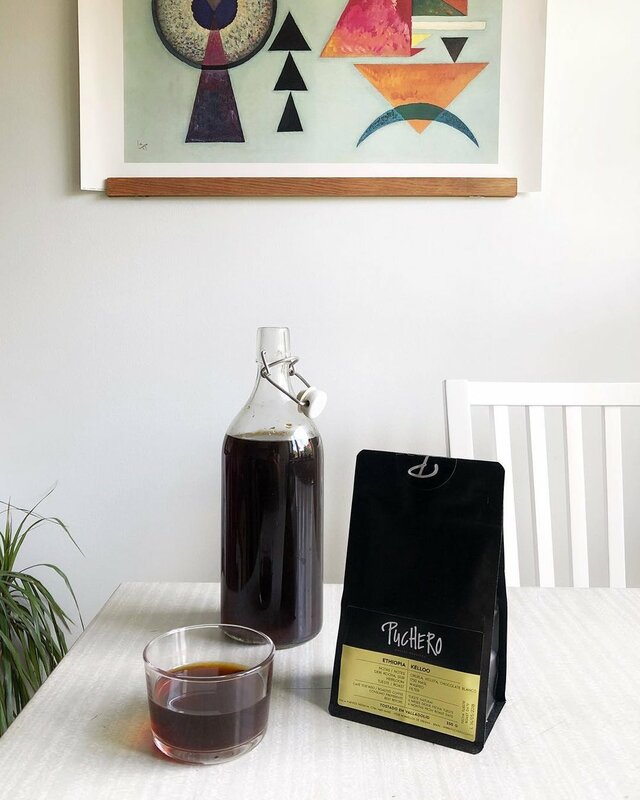 Biloya from Ethiopia is the latest addition to our lineup and Biloya blew us away with a sharp cup profile: Clean, sweet and transparent with notes of red berries and red grapes. It is a beautifully balanced natural processed coffee and a great showcase of how fantastic a natural processed coffee from Yirgacheffe in Ethiopia can taste like. Coffees brought to the Biloya washing station are grown between 1700-2000 meters above sea level. There are several tiers of drying tables on the slope below the washing station and Biloya’s workers turn and sort the cherries by hand as the coffees dry on raised beds. The mesh material allows for airflow both above and below the coffee to prevent the formation of any mildew or mold. It takes between 18 and 21 days for cherries to dry. Naturally processed coffees are milled to remove the dried cherry pulp and parchment at once, and then stored in a warehouse no closer than 50cm from the wall and 15cm from the floor before transport to the final processing warehouse in Addis Ababa where it is color sorted and packed for shipment. 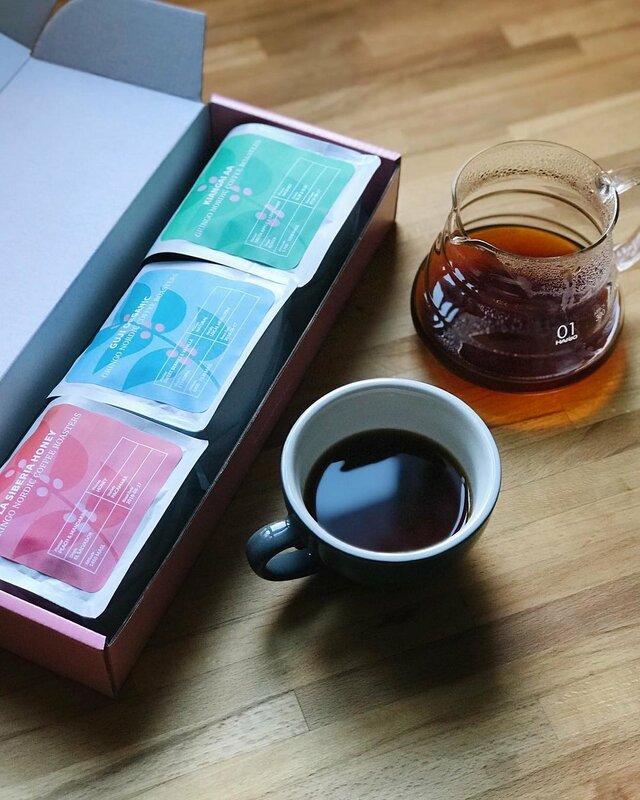 We hope you all enjoyed December’s box with CleverCoffee. Don’t miss out on our next roaster! For November’s coffee box we have a roastery from Uppsala which means it’s as local as it can be. We’ve had a chat we the owner and the roaster Johan Sörensson. What is the story about The Broker? We are a speciality coffee roastery with the goal that the carefully roasted, traceable coffee will do justice to the passion and hard work invested by everyone in the coffee supply chain - from farmer to importer to roaster. What has happened since you were last featured in Bean Portal three years ago? 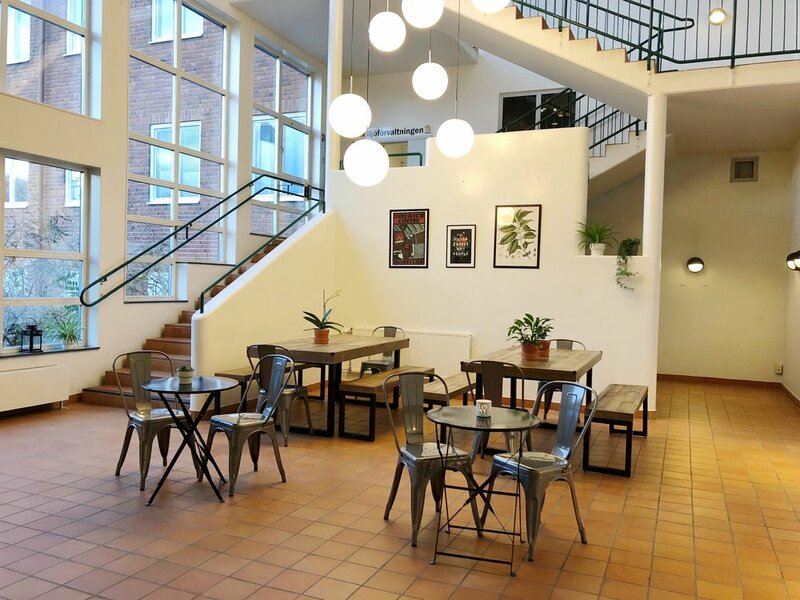 Last summer we opened our combined roastery and coffee bar on the Ultuna campus of the Swedish University of Agricultural Sciences in Uppsala. We are still focused on getting the Broker Coffee Bar exactly the way we want it! What is your favourite way of enjoying a cup of coffee? Every method has its advantages but Chemex may be a step ahead for me. Love that extra smooth mouthfeel. How have you changed from when you started roasting? I am starting to feel that I may have slowly begun to learn a little bit about roasting. What can we expect from your coffees? Great variety of origins, fascinating stories and tasty coffees with a slight emphasis on mouthfeel. From our neighbouring country in the west, we're happy to announce Lippe from Oslo, Norway, as our October’s roaster! Glad to have you back in our subscription! First time you were featured was about 18 months ago. What has happened since our last collaboration? 18 months, yes, well always lots going on, always tasting new coffees which has of course been made easier by receiving delivery of our Røst sample roaster which we’re very happy with. We have continued to strengthen our relationships with our suppliers, endeavoring to give back to the communities we buy coffee from as well as educating our customers about this and about how to get the best out of the coffees. We have seen an increased awareness of our brand overseas which is always pleasant. It’s great to see and to hear how others outside of Norway react to our roasts. Something that we are very happy to confirm is that we now have the possibility to sell wholesale to EU customers with 0% customs duties which is a big help to those cafes out there who are looking for a supplier of premium Norwegian roasted coffee! Further, 2018 is a special year for us as it is our 10th anniversary as a coffee roaster and our 20th anniversary as a company, two things that we are very proud of. The first 10 years we grew organically providing the market with coffee brewing equipment, machines and service, this growth was made ever easier thanks to the Rancilio Silvia which is also celebrating it’s 20th anniversary. A machine that has been close to us since our earliest days. Absolutely, we’re very pleased to say that over summer we confirmed our order of a brand new Loring roaster which will allow us to continue in our goals to be known as one of the leaders of specialty coffee in Norway. We expect to receive delivery and to install it early in 2019. We will hold onto our old roaster as it gives us the flexibility that we need. What can we expect from this month’s coffees (La Esperanza, Uraga, Los Pirineos)? Esperanza is a real fruit bomb. Big mouth feel, tastes of honey snaps and sweet citrus. Uraga is a beautiful example of a Guji from very high altitudes. We have taken coffee from this producer (Israel Degfa) a number of times over the years and we’re always very happy with their coffees. We find tastes of strawberry jam, tropical fruits and herbs. Los Pirineos is the coffee we chose for this year’s Nordic Barista Cup, a standout honey processed pacamara with a beautiful acidity and sweetness with tastes of ripe stone fruits, prune juice, nougat and chocolate. We were lucky enough to meet the producer of this coffee, Gilberto Baraona, during the event and can only confirm that he is a very knowledgeable and fun guy to be around. How would you recommend brewing them? Looking ahead, what can we expect from Lippe in the future? More of the same that has put us where we are now, providing the market with some of Norway’s best tasting and best value specialty coffees. Thank you Lippe for providing us with delicious coffee for October! Don’t miss out on our next box. Get your subscription going! 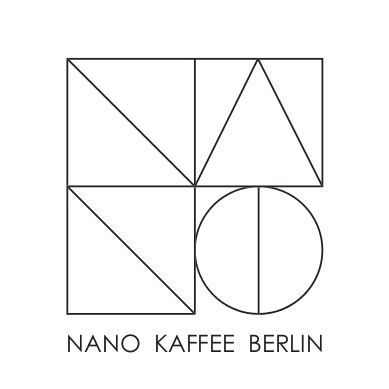 Nano Kaffee was founded in 2014 and is a hub for speciality coffee in Berlin. Their roasts are developed with perfectionism and they love to make speciality coffee accessible for everyone. The Gikirima factory is situated on the slopes of Mount Kenya and is one of the main coffee growing areas in the country. The one thousand members of Kibugu Farmers Cooperation Society take advantage of the land with its rich volcanic soils and favourable coffee growing conditions. These conditions give the coffee its intense fruity sweetness and clean character. The main goal of this washing station is to promote trust-based relationships with smallholder farmers, support them through training and seminars and introduce Kenyan coffee growers into sustainable farming. Peru is often considered as a newcomer to the speciality coffee scene but it has already proven its potential of growing some outstanding coffee. Cajamarca region has produced some of the most impressive coffees so far from Peru in which we find delicious blackcurrant and grapefruit hints. The farmers may encounter challenges when delivering their coffees to town and infrastructure on their land is also in need of attention. Because of this there is a stable movement among the producers: away from unprofitable subsistence farming and forward into seeing quality coffee production as a viable business. This coffee takes its name after a small waterfall and is grown in the mountain valley of Cachoeirinha in the southeastern part of Brazil. Three families farm their individual parts, but together they care for the springs and streams that run across the whole land. The growers also work together on a new coffee production model for the regionas they plan to bring more sustainable development to the farm and apply new technologies. Their main aim is to raise the potential of the coffee as of high-quality drink. This coffee has a smooth feeling with hints of macadamia and apricot as well as sweet notes of honey. Fresh from Gothenburg’s specialty coffee scene, let us introduce Gringo Nordic Coffee Roasters as our August’s roaster! Gringo Nordic started roasting this year, but the team behind the roastery has many years of experience from other coffee companies such as Johan & Nyström and Gevalia. This month, we had the pleasure to ship three very special coffees. The team behind Gringo Nordic have known Carmen & Rafael Da Silva, the producers of this coffee, for 15 years and visited their farms several times. Gringo Nordic describes how they always surprise them with their improvements and experiments. This micro lot is a honey processed coffee on the large sized variety Pacamara. The coffee has a sweet and soft taste of peach, mandarine and milk chocolate. The small region Guji in the south of Ethiopia produces some of the worlds most exciting coffees. The quality is incredible. This natural processed coffee from small-holder farmers at Dimtu Tero is one of them. The coffee has been dried in its pulp and has got notes of dried fruit, sweet berries and vanilla. Compared to what is often found in specialty coffee, this coffee is not only produced according to organic principles, it’s also certified organic. This fine Kenyan coffee is from the region Kirinyaga in Nyeri. 900 small-holder farmers bring their coffee to the Kiangai washing station. The coffee of the varieties SL28 and SL34 is grown in red volcanic soil, a soil rich in minerals. This coffee has notes of green apple, lemonade and elderflower. An elegant and complex coffee that tastes just as good warm as it does chilled with ice. We hoped you enjoyed this month’s box! Don’t miss out on our next box. 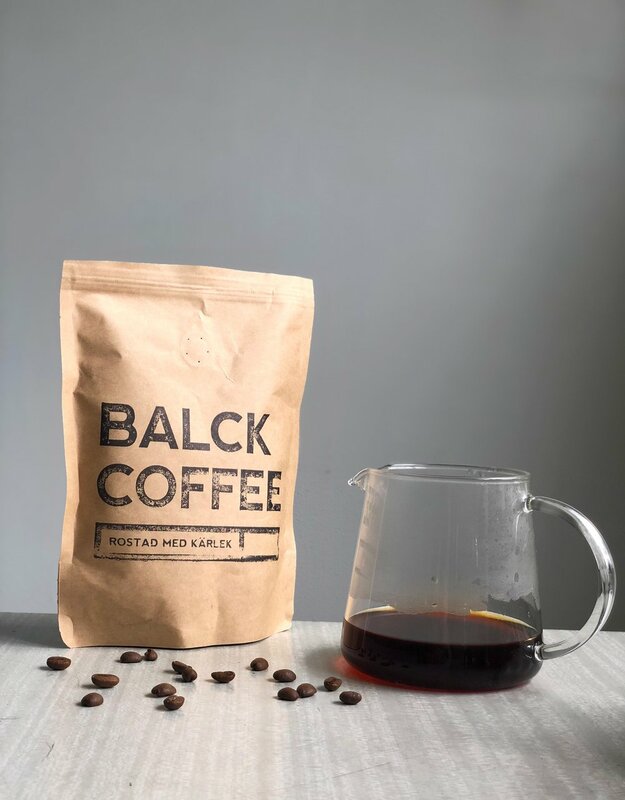 Balck Coffee wants to take a step in the opposite direction to what the commercial coffee companies do. This means that Balck Coffee keeps track of the whole process from plant to cup. Everything sums up in a café in Kalmar, Sweden. A café that's hard not to like. David Rubanzangabo is connected to 500 local farmers in South Butare where minimal impact on the environment and organic farming are important cornerstones in their philosophy of coffee. The farming is fully organic and the high quality is withheld partly thanks to microloans the farmers get to consistently have water flowing in the washing processing of the coffee. Huye Mountain grows amazing coffee with a philosophy that resonates with Balck Coffee's values as a roastery: fair conditions and a great respect for nature. Rwanda is one of Balck Coffees favourite countries for coffee. A real treat from the heart of Africa. Antioquia is typically known for large coffee estates serving the commercial grade market, and this is still much the case. However, things might be changing as the younger generation is beginning to take over the production. Juan David Cardona is one of the producers Balck Coffee are working with in Antioquia. Together with a group of other young producers they have formed a group led by Juan Saldarriaga and supported by Nordic Approach that is looking at coffee production in this region with a new perspective. This proves why Antioquia has a massive potential with a cup profile that is distinct and different from the other Colombians. In Denbi Uddo in the Guji districts of southern Ethiopia, coffee farmer Faysel Abdosh runs Gigesa, a young coffee plantation cooperative which started in 2014. Since then Faysel and his team have built a school to support 1,000 students. They have future plans for building more schools and also dare to dream about generating a source of clean water for their community. This farming method gives the Diima Lot #4 a clean cup with sweet flavours and characteristics of tropical fruit. Balck has developed great respect and seen Faysel’s intentions firsthand to select and process only the highest-grade coffee. Balck Coffee loved this coffee so much that they decided to purchase the entire crop! Summer started early in Europe this year, as June arrived we had already had a couple of months of summer’s heat. Luckily, June’s box tasted just as good cold as it did warm. For the month of June our featured roastery is Fortitude Coffee Roasters from Edinburgh, UK. Fortitude Coffee roasters roasts all their coffees on a red Diedrich roaster. This is where the magic happens. Their first production roast hit the shelves late 2016. They have since roasted coffee of splendid quality. This coffee has been dried in the sun on so called ”African drying beds” for approximately 12-15 days. In the daytime the cherries need to be raked permanently in order to ensure a consistent drying process. In the daytime, it will be covered from 12 to 3 pm in order to protect from hot sun, as well as, when the night comes, the beds are carefully covered to protect it from rainfall. La Palma is the town closest to the farms of this coffee’s both producers. Both farmers are members of the El Santuario Association which works with small scale producers in Catamarca to expand the presence of high quality Caturra, Typica and Bourbon. Large capacity solar tents will be installed to give producers a greater drying capacity since the climate in northern Peru is often wet and unpredictable. Ngugu-ini Factory is part of the Kibirigwi Cooperative Society, together with another 8 washing stations. While the society is registered in Karatina Town (part of Nyeri), the factory is actually situated on the Ngugu-ini and Kiania Road side of the county line. The factory has 1,450 active members, making it the second largest cooperative in Kirinyaga County. We hope you've enjoyed June's box! After a long journey, Paloma and Marco decided to start a roastery located in Valladolid. It's their life project, based on quality and attention to details. We're happy to introduce Puchero as May's roastery. Ngugu-ini Factory is part of the Kibirigwi Cooperative Society, together with another 8 washing stations. This coffee comprises two varietals: SL28 and SL34, which both are mutations of Bourbon and Typica. This factory has 1,450 active members, and sadly their last season’s production dropped significantly due to adverse weather conditions. Luckily, this cup quality is high and the coffee has tastes of apricot and orange blossom and is delicate and sweet. Kelloo comes from the region Guji. Family members of smallholder farmers pick small amounts of coffee and then sell and deliver it at the washing station. At the wetmill, they are working to increase the quality and for better processing at the washing station. This Ethiopian coffee, Kelloo, develops a very floral aroma, with complex tasting notes of plum, violet, white chocolate and wild fruit. It is delicate and complex, full of brightness, with a buttery texture. Nyangwe is a farm located on the hills surrounding the town of Kayanza, northern Burundi. Nyangwe is one of many smallholder owned farms whose yearly crop is delivered to the nearby Mpanga washing station for processing. This season’s Nyangwe lot is fully washed and has undergone a single, 13-hour fermentation, before being dried on raised beds for 20 to 22 days depending on the weather. Nyangwe is sweet and full-bodied, with notes of red grape, raisin and brown sugar. Get started with your monthly coffee subscription, join our club! The Netherland’s coolest roastery Keen Coffee has delivered some splendid coffees. Let us introduce you to February’s box! Keen Coffee has one goal: to lift the coffee scene to an even higher level. This is seen in everything they do. Keen works directly with their farmers and only roasts the highest quality coffees, looking for the most unique flavor profiles. Located outside of the capital, Keen Coffee follows their everyday quest, to strive for perfection and not settling for it. We hope you enjoyed February’s box! The team of Shembati washing station are working hard to produce and process the high quality coffee you are about to drink. It is a great example of a Burundian coffee, which are known to have a great sweetness. When brewed you will get a balanced cup with fresh citric notes and berries, together with a sweet chocolate finish. Included in the 2x250 and 3x100 Tasting box. Los Vascos’ coffee farmers originates from Spain's northern regions. Los Vascos translates to “The Basques”. The coffee importer of this coffee is known for investing a lot in the local farmers as well as in mills and cupping labs. With their aim at sustainability we hope you like this coffee which has notes of sweet caramel, milk chocolate and red fruits. Exclusive for the 3x100 Tasting box. On top of a mountain ridge in West Alley, you will find the beautiful location of Danilo’s plantation. Danilo has previously delivered the coffee that Keen Coffee has used in the World Brewers Cup. The cinnamon notes are very distinct in this microlot. You will also find notes of sugar cane, yellow stone fruit and passion fruit. Do you want to get freshly roasted coffee to your doorstep? Join our coffee subscription! How can a year possibly start better than with great coffee? Our first roaster 2018 is the fantastic coffee roaster Cloud Picker Coffee from Dublin, Ireland. From Cloud Picker we sent three fantastic coffees from Rwanda, Guatemala and Costa Rica. What a month! Don't miss out on our next box! We’re proud to introduce you to our December’s roaster Don Gallo. Our first ever shipment from Spain! Hundreds of families grow their coffee cherries in the area around Mormora Estate, located in the region of Guji, Shakisso, in Ethiopia. The farmers gather their coffees for sorting and processing. This natural processed coffee has notes of floral, strawberry, lime and chocolate. Dolmin has been managing his own farm since 2013. Through hard work, he has managed to place this coffee in the top 20 during the 2014 and 2015 Cup of Excellence competitions. Together with his father, the family has built a coffee farming dynasty in Santa Barbara, El Cedral in Honduras. This coffee has notes of blackberry, lemon soda and peach. Nilo’s farm Jalisco is located in El Naranjal in Colombia. It is one of the neighbouring farms to La Palma & El Tucán, a famous Colombian coffee farm, where this coffee is processed. The lactic process is what brings out the distinct flavours of this special coffee. Expect notes of passion fruit, peach, milk and chocolate. We had a chat with Roast Master Nikolai at our August's roaster Nord Brenneri from Oslo, Norway. The concept behind Nord was born several years ago, when Joakim Strand and his two companions opened a restaurant and deli at Bjølsen in Oslo. The idea was to purchase as much as possible directly from local Norwegian farmers and to give the customers extraordinary and unique products and food. The business went well, and they opened their first bakery. Soon, several coffee shops followed and a coffee roastery, located in the basement of the shop at Grünerløkka. The different locations had, at that time, all individual names, so to unite everything into one concept, Nord was founded in 2015. The same year the roastery moved to a more spacy location at Tveita and a brand new Diedrich coffee roaster was bought. Today Nord consists of 10 coffee shops, where one is also a wine bar, the bakery and the coffee roastery. My journey into specialty coffee started in 2009, when I started working as a barista. I instantly got fascinated by the complexity of flavors in the different coffees and was impressed by the immense amount of dedication that was invested in every single bean. I soon got inspired by the idea of direct trade and understood how inhumane the conditions are in the conventional coffee marked. A combination of this drove me further into the business, from barista to cup tasting champion, green buyer and now roast master. How has Nord changed if you compare today, with the day you started roasting? When I started roasting for Nord, in 2015, the roastery had just moved to Tveita. Joakim and I were doing the roasting on an old Probat P12 and there were only six coffee shops. My focus since the beginning has been to improve the quality of the coffee and to always have traceability to the farms and cooperatives that produce it. One of the first steps in improving the quality was the installation of a Diedrich CR-25, which has given us the opportunity to get more control of the roast and to develop profiles which give more distinct flavors and complexity to the cup. The increased capacity of the roaster has also made it possible to expand, and today we are steadily growing, getting new customers and hiring more staff. Last year, former Norwegian Barista champion, Lise Rømo also joined the team. She is both roasting coffee and educating our baristas with the goal of being the best in town. How do you think Nord will evolve in the future? Have you got any specific goals? Even though the competition in Oslo’s coffee scene is really tough, with other roasteries like Kaffa, Tim Wendelboe, Supreme Roast Works and S&H, we have been able to get a great reputation and solid customer base. Many of the most exciting new startups in Oslo wants to have our coffee, which I think is great. I hope that we will continue on the same track, inspiring people to focus on some of the same values as us; buying local foods and products directly from small producers, excluding unnecessary middle men, having traceability in everything from our coffee to the grains in our bread and vegetables in our salads. A lot has happened in specialty coffee the last few years. What are you most excited about regarding the growth and development of specialty coffee? Will there be a ”fourth wave”? I think that the most exciting thing is that there are a lot more people buying and enjoying specialty coffee. At least in Oslo there is a shift towards more focus on sustainability, environment, quality of food and products and on health. Drinking specialty coffee is something that contributes in a good way to all these ideas. I would love to see that the results of the fourth wave were that everyone bought coffee that was purchased for a fair price, grown in a sustainable way and roasted and brewed with care. In Sweden we like to drink our coffee with a piece of cake or a cinnamon bun. What is the best way of enjoying a cup of Nord? Our bakery also makes fantastic cinnamon buns which are a super combo with the coffee. I personally like to drink it pure and black, by itself. If I should pair it with anything, it would be a piece of dark chocolate. Many of our members are trying Nord for the first time. What can they expect? They should expect clean and flavorful coffees. Roasted light, but given enough time to develop sweetness and a lot of interesting flavors. Don't miss out on our next box! We ship delicious coffees from Europes specialty coffee roasters every month. The month of June was quite a remarkable one. We featured Man Vs Machine from Munich, Germany! For the month of June we sent coffee from the different origins. Maria Suyapa La Flor from Honduras, Yobani Ramos from Colombia and exclusively for our Tasting Box customers - the beautiful Jaguara PB from Brazil. This was the very first time we shipped a Brazilian coffee! If your not yet a member - don't miss out on our next box! For the month of May we visit our neighbour in the west, Norway. This month's roastery is Lippe. We had a chat with founder Alexander. What’s the story behind Lippe and where does the name Lippe come from? You’ve been in the coffee business for quite some time, how has the Oslo coffee scene changed since you started? Our company was initially established in 1998 and we have been roasting and marketing coffee under the Lippe brand name since 2007 so we have of course seen a lot of changes and have proudly worked with many great local and international personalities over the years. During that time we have grown steadily and have seen Oslo’s coffee scene go from strength to strength so much so that many now, throughout the world, look to the Norwegian/Scandinavian light-roast style as a benchmark in specialty coffee roasting. Besides this we have seen cafes right across Oslo and Norway embracing specialty coffee. It’s great to see specialty coffee now reach such a larger audience. What is your best coffee experience? Do you have a favourite cup of coffee that you can’t forget about? One coffee that stands out in Pia and Alexander’s minds are those produced by Brazil’s Heimen Coffee. Harvested at around 2000masl. What is the best part about working with coffee? Not wanting to sound cliché but offering a product that we are passionate about, working with this product in an industry that is constantly evolving, improving and progressing is always exciting. What is the vision for Lippe, where will you be in 5/10 years? 5-10 years is a lot of time in specialty coffee but, we plan to be here at the forefront of the specialty roasting scene in Scandinavia. We will be roasting some of our favourite coffees, offering them to an even larger international audience. In the short-term we have many exciting things coming up, including a pop-up cafe with our friends Mobil Kaffebar in a hidden inner-city garden which will have table tennis, boules, badminton, lots of fun and great hot and cold coffee. We are also preparing to launch our own bottled cold brew coffee for the summer, we have a new webshop in the works and we are looking forward to celebrating our 20th anniversary next year. Have you got a favourite brewing recipe? Right now we are most enjoying cold brewed Gathaiti and Fabian Zarama! Many of our members will try your coffee for the very first time. What can they expect? The Fabian Zarama microlot from Colombia, the Gathaiti AA and the Mbrizi from Burundi are all outstanding coffees we really hope that your subscribers will like the coffees! They will be experiencing the true Norwegian taste of lightly roasted coffee which think lets the coffee taste its best. It allows the complex and fruity flavours of these truly special coffees to stand out. We would recommend brewing at around 65-70g per liter. Do you want to explore Europe's coffee scene? Join our coffee club! For the month of April it feels good to be back in Göteborg, Sweden’s second largest city. We are happy to introduce Kafferostare Per Nordby as our April’s roaster. From Per Nordby we shipped three very diverse coffees from three different continents: South America, Africa and Asia. On one of the thousand green hills in the province of Kayanza, Burundi, is the small society Ninga located. This coffee comes from a quality focused micro lot program started by Long Mile Bukeye washing station together with the farmers of Ninga Hill. This sweet coffee has notes of peach, red grapefruit and orange blossom. Finca La Picona is located in the middle of a nature reserve in Dipilto, Las Manos, Nicaragua. The area has a unique micro climate. Doña Olga runs the farm together with her husband. Their son Samuel runs a plot of the farm on his own. This is a juicy coffee with notes of hibiscus, almond and black tea. Only included in the 3x100 Tasting box. Indonesia’s island Java is the world’s most populated island and is famous for its coffee. This is, however, the first time we tried specialty graded coffee from Indonesia. We are stoked to see what they will bring us in the future. This is a taste of Indonesia’s specialty movement. Don't miss out on our next coffee box. You deserve better coffee! This month we’re in the capital of Finland, Helsinki, at the roastery Good Life Coffee. With the motto "Avoid Bad Life" they do everything to make your life better serving some of the best coffee you can get in Finland. We had a talk with Samuli, the owner of Good Life Coffee. How did Good Life Coffee start? Good Life Coffee is the brainchild of Lauri Pipinen (3 times Finnish champion, barista, brewers and latte art). He had just won the barista championship and at the time was working at Kaffa Roastery and looking for opening his own place. The cafe opening day was five years ago 18.4.2012. In the early days the cafe was a fairly typical multi-roaster cafe but Lauri had the idea of an own Good Life Coffee roastery and asked if I was interested. After some time of planning what we would want to do the roastery was established in early 2014 and the first coffees were out in October. Coffee is very interesting and multifaceted. At first it's mostly about the effect than about the taste which evolves to social responsibility. Personally I felt that Finland was lacking a top notch roastery with a focus on delivering the best quality coffees possible while doing it responsibly. There are many great specialty coffee bars in Helsinki. 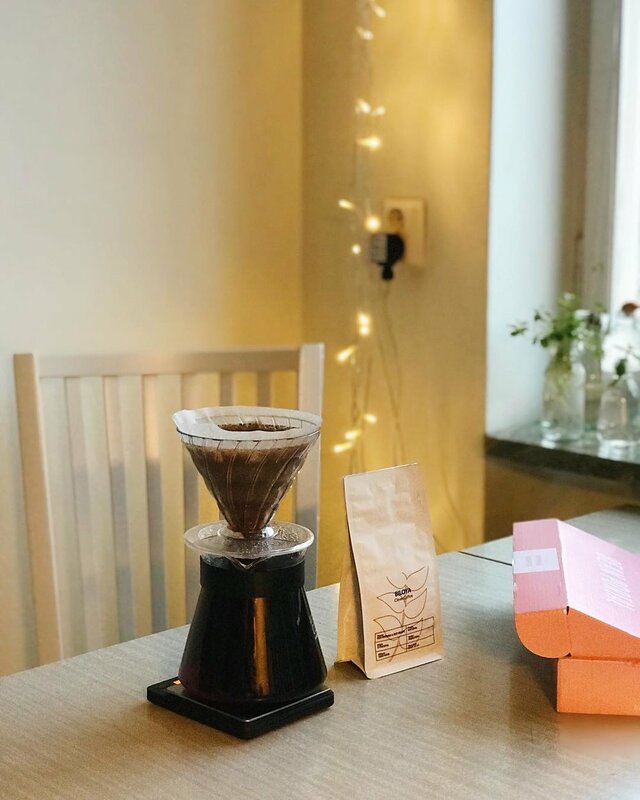 How was the Helsinki coffee scene when Good Life Coffee started compared to now? When the cafe opened there were very few good cafes in Helsinki and therefore a quite small scene. Customers were also surprised about the price of the filter coffee which was 3€ and made with Aeropress. Nowadays there are more good cafes and more customers that understand better quality coffee and are willing to pay for it. How has Good Life Coffee changed if you compare today, with the day you started the roastery? We understand coffee more thoroughly and deeply. From the origin and trade to roasting and brewing. We also understand better that there is a lot to learn. More than we know at the moment. How do you think Good Life Coffee will evolve in the future? Have you got any specific goals? From the roastery perspective we'll begin to move towards relationships with coffee producers in comparison to shopping around the best coffees of the season. I'm very happy that more people are interested in coffee as a drink itself and not just as fuel for functioning. I believe it will keep on growing to become the more expected norm but without the extra show and hassle. In Sweden, we like to drink our coffee with a piece of cake or a cinnamon bun. What is the best way of enjoying a cup of Good Life Coffee? The best way of enjoying our coffees is whatever is the favorite way of enjoying coffee for you. Personally I like black filter coffee that has cooled down. There are many ways of drinking coffee and sometimes it's fun and interesting to try something different. Maybe you will discover your new favorite style. What are you looking for in a coffee when you taste it for the first time? If I'm cupping coffee samples for buying I'm looking for clean flavor without defects. I also search different flavor profiles so that our range will be versatile and customers can try different things or stay at their comfort level. The coffees have always had to be interesting and something we enjoy also. If I'm tasting production coffee, be it my own or somebody else, I look for balance (acidity, sweetness, mouthfeel, aftertaste), clarity and if there is roast defects or coffee defects. Flavors usually come last. Do you have any favorite coffee origins? At the moment Rwanda, Burundi and Tanzania are my favorites. Last harvests from all those origins have been really good! They are also really interesting mix with similarities to Kenyan or Ethiopian coffees but with a twist. Many of them are really satisfying coffees that you enjoy drinking a lot. Many of our members are trying Good Life Coffee for the first time. What can they expect? Clean, balanced and interesting coffee. Let us introduce our February’s roaster Neues Schwarz from Dortmund, Germany. We have had an interview with co-founder Benedikt! What’s the story behind Neues Schwarz? I found my interest and passion in specialty coffee in Nürnberg almost 7 years ago. I was still working as an urban planner and lived next to a specialty roastery. After a while I made friend with the owner and started working for him as a barista and roaster. I learned a lot about the business, the roasting and expertise of specialty coffee. As my wife and I always planned to go back to our hometown we decided to build up our own business. My brother joined the adventure as head of finance and as a team of three we started elaborating our business plan. In March 2014, after 3 month of rebuilding a former furniture store, we opened our Specialty Roastery & Café in Dortmund. In general we’re dividing between espresso & filter roasts. The filter roasts are always as light and fruity as possible, for the espresso roasts we aim to develop them more balanced. That makes it a bit easier for our conservative customers to drink our espresso roasts. What is the vision for Neues Schwarz? At Neues Schwarz, we set ourselves several different goals. First, our aim is to express our appreciation for the farmer’s work through fair payment. Second, we value the diversity of aroma that different geographical areas and processes promote. Third, we want to give the possibility of choice to our clients by providing coffee from a single origin. By building a direct, fair coffee trade company, we could strengthen our efforts in achieving our aims. While roasting I imagine the aromas I want to highlight. However, of course every bean has different potentials, different characteristics and you can never exactly foresee the final coffee. So the next reward for me is the first sip of the current charge – to discover the aromas that I have developed by roasting. But, the most rewarding is maybe to see our customers during the open cuppings we offer: how is the coffee perceived and accepted? Luckily, we have very open-minded customers who value diversity. Right now we’re working on a ‚cup project’ with a german/japan design combo. They just started their own business creating minimalistic cups produced in Japan. We’re always looking for interesting, unique & highest quality products that fits our own concept. Would you mind sharing your favourite brewing recipe? There are many of our subscribers who are trying Neues Schwarz for the first time. What can they expect? Three coffees with quite diverse cupprofiles, all of them sweet and fruity, but different.